Currently we are closed unthil January 4 th. We wish you a Happy New Year !! 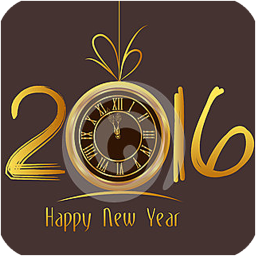 We will be pleased to serve you again in 2016 !! are displayd on an acrylic plate at 10 cm distance from the matt acrylic plate. In particular, the glass collection looks really fantastic on these displays. We would like to welcome you to visit us at the 2015 Spring Fair in Birmingham, from February 1 th to Feb. 5 th. The Spring Fair in Birmingham is an excellent event to orientade yourself on the new trends in 2015. As always Dingens Barometers & Clocks will be at Spring Fair with the latest products. I would like to invite you to visit us in Hall No. 6, stand no: 6G26. The new Innovacelli Fox Barometers will be presented, among many other new products. Our goal is to meet the needs of our customers in a clear and user-friendly site. The site is also available in Dutch : please click on the Dutch flag at the home page to get there. In “Products” we would like to give a summary of the products we currently have in collection. I hope you enjoy scrolling trough the site, looking for your ideal product !